Nikon Ambassador Dixie Dixon got the chance to shoot with a pre-production D850 for a few days. She used a few fashion shoots to break in the D850 and shared some of those images with us here, explaining her experience "shooting in beast mode," as she called it in a recent live stream with B&H. Unsurprisingly, Dixon was particularly impressed by the camera's ability to shoot at a high frame rate (7 fps without the grip, but up to 9 fps with), but still with a full 46-megapixel raw file, meaning she didn't have to compromise on the shoot. Even the autofocus, which she says has been good, but still occasionally off in the past, was spot-on for every shot. It was noticably faster and more accurate than ever before. The camera easily kept up with her throughout her shooting experience. Dixon also appreciated some of the smaller features of the D850, like the ability to shoot with various crops, from a traditional 3:2 to a 1:1 square crop. This made it easy for her to shoot with social media applications in mind while on set. Even though she only had two days with the camera, Dixon said it was "a dream camera for me with everything I'd put on my wishlist." Below, check out some exclusive additional shots from Dixon's experience with the D850. Also, for the first time, you can check out full-resolution TIFF files as well. The vertical portrait is a full-resolution, edited TIFF (1/250s, f/4, ISO 160, strobed), while the second is a TIFF converted from raw with no changes (1/250s, f/5, ISO 100, strobed). Pixel-peep all you want! Pretty good...definitely resolving a lot of detail. Less concerned with the IQ...which has been more than enough for years now. I'm more interested in the handling and how all that resolution can be deployed without needing a tripod etc. I was wondering the same. 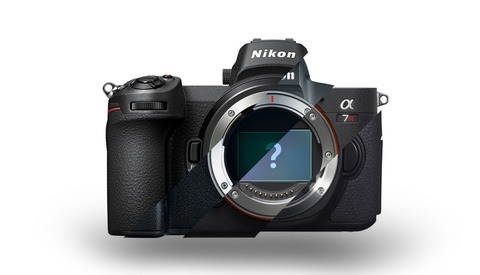 It's been one of the issues that plagued the Canon 5DS(R). A lot of people I know won't drop under 1/160 when using a 5DS(R) handheld unless they have an image stabilized lens of at least 3 stops. Hands shake you know? I think 160+ is safe...IS or not. 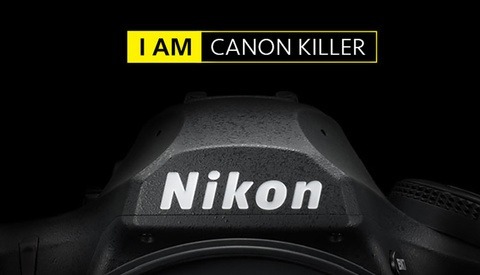 Just wondering, if she is a Nikon ambassador, this doesn't make it the most unbiased review right? I.m.o. it is not presented as an unbiased review, she just shares her experience? She is a really, really talented shooter and I love her work but... A grain of salt is always a pre requisite when dealing with sponsored shooters talking about gear. They arent allowed to tell you the cons of the gear they have sponsorships. This is why you should (and I will) eventually check out what Tony Northrup has to say on Youtube about any photo product or process. He's the guy who dragged the sharp edge of a mussel shell 5-6 times across the front element of a modest prime and demonstrated it still worked almost as good as new, shooting an clear blue sky into the sun no less. No conscience and no loyalties and superb depth of scientific/practical understanding makes Tony mandatory watching. To add water to your mill, she also shoots lifestyle images for Nikon ads. oh, look at the title! 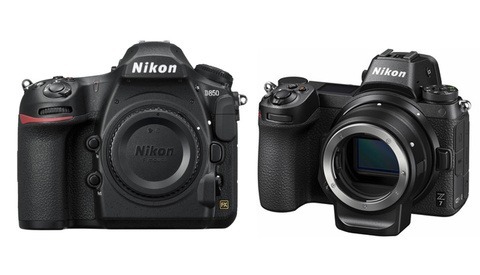 : "Dixie Dixon Shares Experience and Full-Resolution TIFF Photos From Shooting With the Nikon D850", no review there. Also, let's say you have been using brand X all your life. (That's the case with her) Then they ask you if you want to test/try their latest super techno body. (That happened here). So of course it's biased. But do you care that much if you are your brand X? Of course not. This is marketing 101. Also worth noting she's shooting the D850 with an incredible lens in an incredible location. I"m a Nikon user since the 11th grade and own the D810 which I love. Yes, I'd love to get my hands on the D850 and after about 6-9 months I see the price dropping considerably just like it did on my D810. Almost dropped $1000! So, I think I'll wait as my D810 is still a beast of a camera. I feel like I'm barely scratching the surface of that monster, to be honest. THAT BEING SAID, there will always be a bigger, better camera to take the spotlight, from Nikon to Canon to Sony, etc. This month it just happens to be Nikon. In the new year it might be Canon with a bigger and better camera. I'm so tired of all the Nikon is better than Canon, Canon is better than Sony, etc. They'll always be leapfrogging each other. That video is pretty much just a music video. Pretty useless, but entertaining. Pixel peeping at the files I will say my 39mp CCD phase one back from 2003 and Zeiss 120mm macro planar resolves fine detail better than this. It's pretty close though. Diminishing returns to more megapixels in the same surface area. Of course the D850 has tons of features my medium format rig can't remotely compete with. I love's me some Dixie Dixon... Big thanks for sharing this article! One thing I did learn from this video is that the video crew and post-production people were top notch.